Sell House Fast Chesterfield? Is that really something residents need in one of the most vibrant real estate markets in St. Louis? The short answer is Yes and at House Sold Easy we strive to have a strong presence in the area. We are ever on the lookout for property owners who are under pressure to sell house fast Chesterfield. In this city, we find the typical factors that require property owners to sell house fast. Inheritance, Divorce, Relocation, Fire or Weather Damaged homes unsuitable for traditional retail sales. We can work with you regardless of your situation. As long-time property investors, our over 50 years combined experience in the industry tells us that plenty of opportunities are brewing in this the second largest city in St. Louis County. Even as Chesterfield is some distance west of our office at Brentwood, we always make it a point to feel the pulse of its real estate market. Our hunch that significant developments are in store in for this city was affirmed recently by news that giant pharma Pfizer would be consolidating its Missouri offices in a $200 million campus in Chesterfield. Big corporate moves, like this, would certainly have ripple effects on the city’s economy in general and its property market values in particular. Be that as it may, major corporate decisions like Pfizer’s are not the only things that drive our interest in Chesterfield. It is a great place to live with a thriving City Center and great school district. Being the largest city in the west county area, Chesterfield has that type of population mix fertile for property investors like us at House Sold Easy. Our team of professionals has studied this city’s residential real estate profile for quite some time. We know that while a majority of residences here are owner-occupied, rental housing is also significant in Chesterfield. So we can help you sell house fast Chesterfield because we will purchase virtually any type of home in any condition for use as a Rehab project or a rental property. With our diverse specialization as long-time residential property investors, we can deal with property owners who need to sell house fast because of a job relocation, divorce, or imminent foreclosure. House Sold Easy can likewise expedite a deal for landlords who want a quick exit from their rental properties and their many issues or problems. Similarly, we buy houses from those homeowners who just don’t have the time and resources for the house repairs necessary for a successful sale of their properties via the traditional market. At House Sold Easy, we buy houses fast even if these are in “as-is” condition. All that we need is a 30-minute inspection of a residence, and from there, our staff can already do some pencil-pushing to move forward with a deal and pay in cash immediately. Our best practices as fair and honest investors have worked well in many transactions with home sellers who need to sell house fast, Chesterfield deals included. Vibrant and sophisticated markets like this city are within our arena of expertise at House Sold Easy. 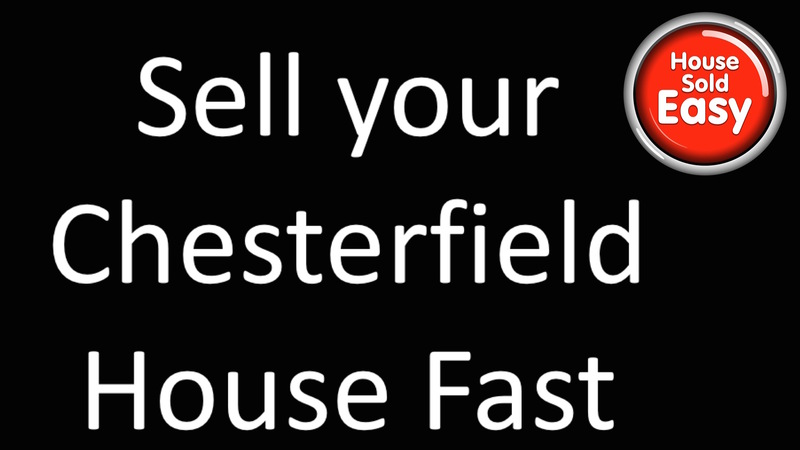 Tap our mastery of the home market and sell house fast Chesterfield! Sell House Fast Chesterfield! Call today : 636-525-1566 or contact us HERE!